I wore this the other night for a casual dinner out, so these pictures were literally snapped in like 3 minutes on my back porch haha. My husband totally gets that I don't want to 'waste and outfit' and I find that sweet and also funny. He is def an Instagram husband! 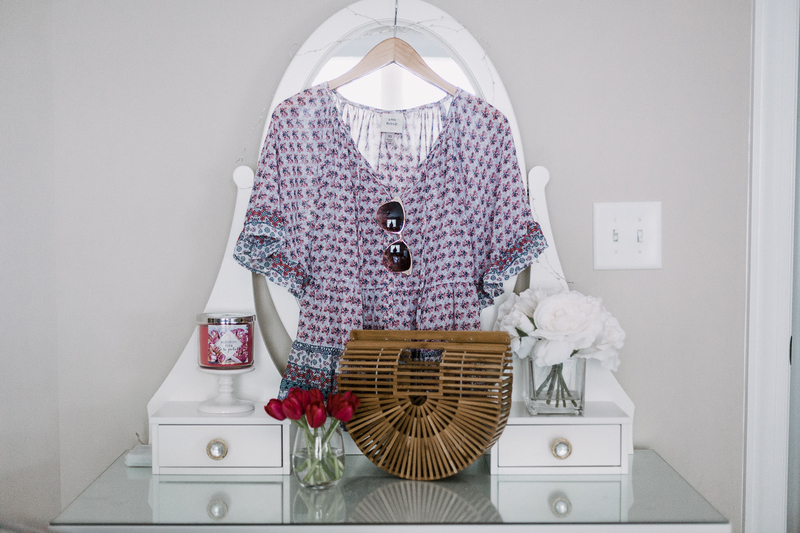 To say I am obsessed with this top and all of the other Knox Rose items would be an understatement. I love the boho feels and the budget friendly prices. When I think of flowy, summery, bohemian style, this brand nails the images that pop in my head. lol he totally gets it haha!